For many, cancer has been an elusive problem in the medical world. With so many claims of things that cause cancer and even more things that claim to cure it, it is hard to sift through what is legitimate and what isn’t. As more research is done in order to look into understanding how cancer can be prevented, many studies are showing that there are many herbal teas which are helping to prevent the onset of cancer. This can be attributed to the fact that many herbal teas are high in antioxidants, which are a definite necessity in the body if you are looking for ways to keep healthy and prevent the development of cancer. What sets hops tea apart from the rest of these herbal remedies? Studies have shown that this particular brew may hold ways of preventing cancer that make it unlike any other tea. Cancer is a disease that affects the body on a cellular level, mutating the cells which will then lead to abnormal growth. Cancer will affect a patient regardless of age, race, or gender and it can develop on virtually any tissue on any one of the organs in the body. In the medical world today it is possible to effectively treat almost any type of cancer if it is detected at an early stage. Treatment for cancer will depend on many factors such as the type of cancer, the stage the disease has reached, and how quickly the cancer spreads. 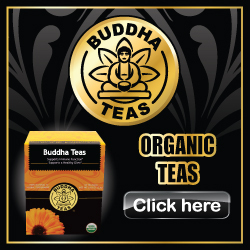 Like many other teas, hops tea has a wide array of helpful antioxidants to offer. Antioxidants can help to prevent the cells by protecting them from the damage done by free radicals in the body. Considerable studies have shown that the introduction of antioxidants into the body can help slow and prevent cancer development. However, something that can set hops tea aside from other teas and can help prevent specific cancers is the presence of a natural compound known as xanthohumol. Xanthohumol is a type of flavonoid that has been shown to block certain effects that lead to abnormal cell growth in the prostate, which can ultimately help to prevent the onset of prostate cancer. This flavonoid, which can only be found in hops tea, can also help to prevent other specific cancers such as breast cancer, colon cancer, and ovarian cancer. Take care to not drink hops tea if you are currently pregnant or if you are suffering from estrogenic types of cancer since hops tea can also have possible estrogenic effects on the body.